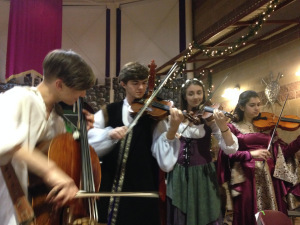 All three Madrigal Performances sold out quickly! 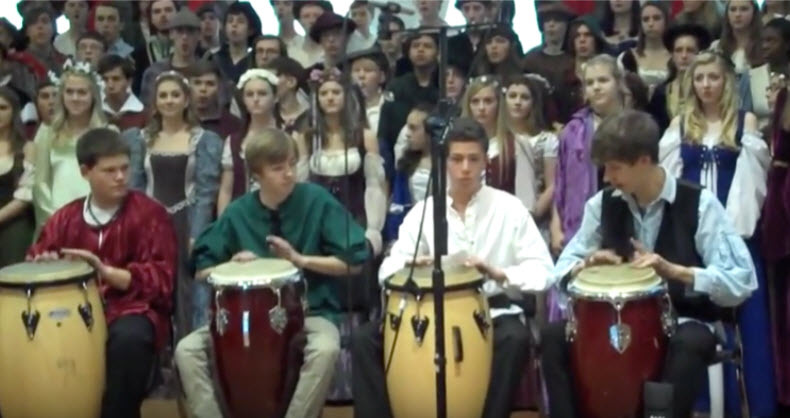 The Annual Royal Madrigal Feast showcases the many talented students of Silver Creek’s performing arts program. 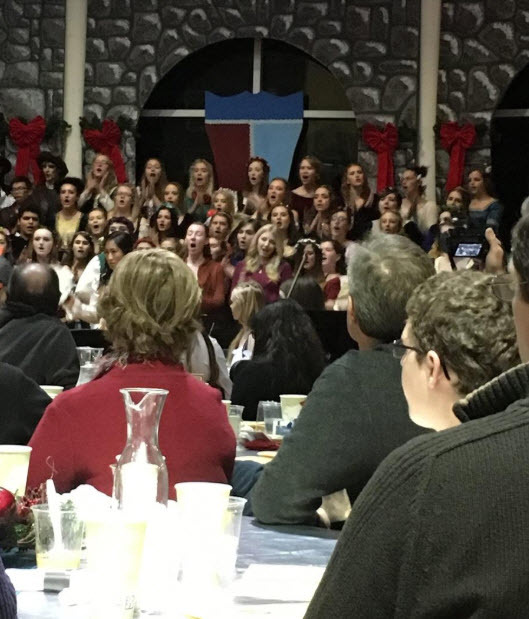 Performances from choir, orchestra, band and theatre students, along with festive food, create a magical evening. This ticketed event is produced and organized by Silver Creek performing arts directors and parent volunteers. Tickets will be sold online beginning Sunday, October 28 at 6:00 a.m. Important ticket information is below and the link to purchase tickets is at the bottom of this page. Royal Madrigal 2018: A Dessert Affair! PLEASE NOTE: Make sure you print your ticket and bring it with you to the show. Please bring your printed ticket to the performance. This is your admission for seating. When purchasing tickets at the long tables: if you want to have seats directly across from each other, be certain that the seats you are choosing are on either side of the table you choose; the table should be in between/in the middle of the seats you select. NOTE: The Long Tables are actually at a slant, which you will not see when you are purchasing tickets in the system. Click here to see the actual layout. Once you begin the process of selecting seats: If you want to look at another performance for other seating options after clicking into a particular performance, DON’T CLICK THE BACK BUTTON on your browser. Scroll down to the bottom of the page and click the “return to event listing” button to get back to the first menu, so you can reselect a different performance. Wheelchair seating should be reserved with the Silver Creek High School ticket coordinator at schsmadrigal2018@gmail.com. Online sales end on Sunday, November 25th, unless performances sell out before this date. Madrigal 2013-17 were all sellouts! Dessert and wassail will be served at this performance. Enter the front doors of Silver Creek High School. For problems with ticketing, please call ShowTix4You at (866) 967-8167.